The most important factor in fertility is age. Women are born with all the eggs they’ll ever have, and as they age, the quantity and the quality of those eggs decline. Menopause may not happen until your early 50s, but for most women, fertility begins to reduce sharply around age 35. By age 40, a woman’s chance of getting pregnant is less than 5% per menstrual cycle, meaning lesser than 5 out of 100 women are expected to be successful each month they attempt. As with so much of our health, genes have a big influence on fertility, including the age of menopause. In fact, a woman is six times more likely to experience early menopause (before age 40) if her mother, sister, or grandmother experienced it. Additionally, researchers at Stanford University recently discovered a link between certain genetic markers and hormone levels that suggests a woman’s reproductive lifespan may be very nearly determined by her genetics. Female infertility can result from damage to reproductive organs that occurs with injury or disease. One disease is pelvic inflammatory disease, an infection in the upper reproductive system; scar tissue from PID could block a woman’s fallopian tube(s) and prevent ovulation or pregnancy. Another example is endometriosis, a health condition in which tissues from inside the uterus begins to grow on other organs, causing swelling, cysts, or blockages that might prevent pregnancy in a similar way. 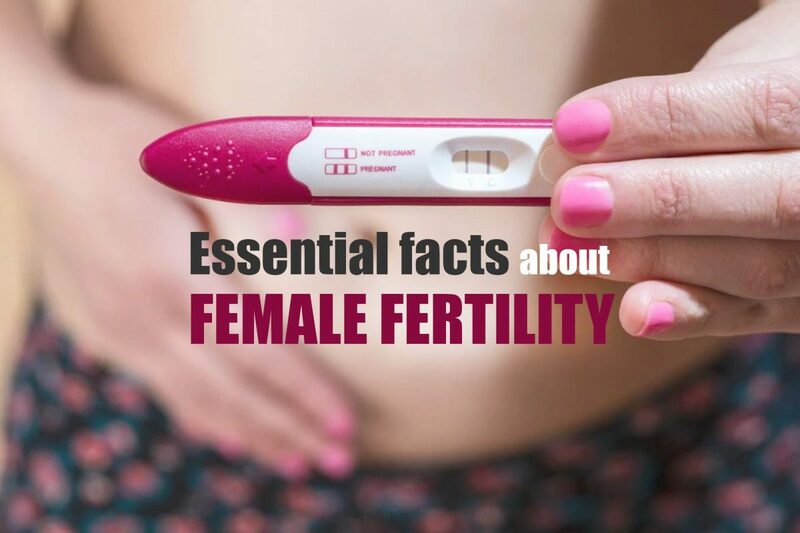 Medical history plays a big role in female fertility. Unfortunately, certain medical treatments can reduce a woman’s fertility. As mentioned above, surgery of the ovaries—to remove a cyst or treat endometriosis—could damage the ovaries or reduce ovarian reserve. Other medical history, like the presence of an untreated sexually transmitted infection (STI), can also decrease fertility by causing pelvic inflammatory disease (PID) and scarring in the reproductive system. Chemotherapy and radiation, while obviously life-saving treatments for cancer and other illnesses, can damage a woman’s eggs or cause premature menopause. In fact, egg freezing was initially developed as a technique for women who were about to undergo these types of fertility-damaging treatments to preserve their chance at pregnancy later on. Up to 13% of infertility may be attributable to cigarette smoking. Smoking reduces the ovarian reserve and causes genetic damage to a woman’s eggs, and it’s estimated that women who smoke reach menopause one to four years earlier than non-smokers. Lifestyle factors, like being overweight or underweight or having an irregular sleep cycle may also affect fertility by creating a hormonal imbalance. Folic acid should be consumed before and during pregnancy to prevent birth defects. DHEA, a hormone produced by your body’s adrenal glands should be taken as a supplement after consulting the doctor for at least 6-20 weeks beforehand to increase the chances of conception. After a woman becomes pregnant, fetal medicine comes into play. It is a branch of medicine that utilizes various diagnostic procedures to determine the health of the unborn child. Fetal medicine specialists play a key role in diagnosis, comprehensive management, and counselling of pregnant women especially when pregnancies are complicated due to fetal abnormalities. previousDiet and lifestyle measures that can reduce your risk of cancer.